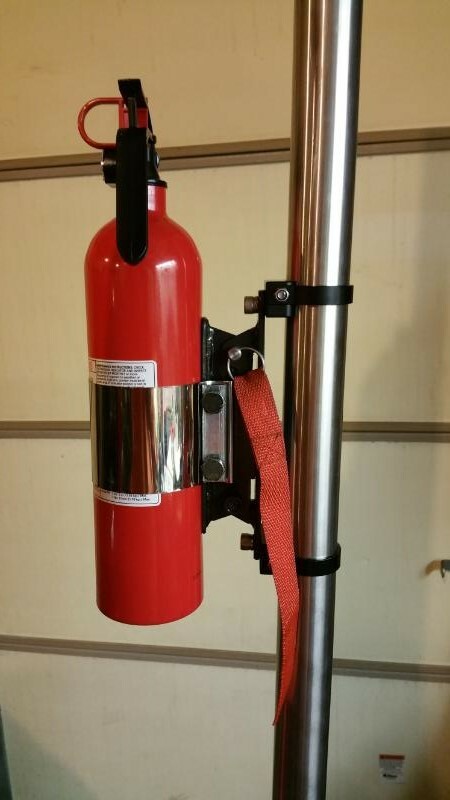 Our Quick Release fire extinguisher mount was created with simplicity, durability and flexibility in mind with the ability to mount a 2.5lb extinguishers with various mounting options. The mount features a stainless steel 3/8" pin with a 8" nylon strap attached to the retaining pin for quick and easy release of the unit. 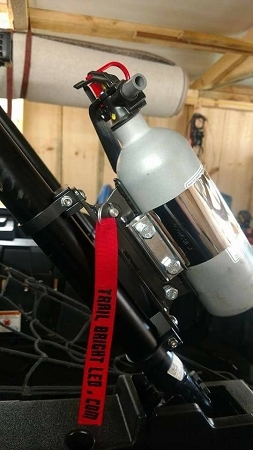 The mount is designed to be mounted directly on a roll cage with hose clamps, the optional billet cage clamps or flat mounted using the pre-drilled holes. 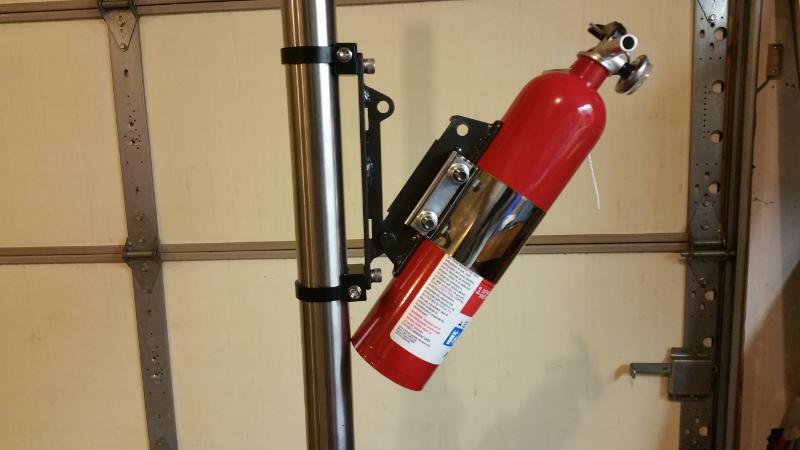 The unit is designed to work with the First Alert 2.5lb extinguisher (3? diameter) fire extinguisher. Other fire extinguishers may fit but we can not guarantee it. You can mount it with hose clamps or surface mount it. We recommend the First Alert because it uses a commercial grade metal valve and trigger, not plastic like a lot of the other ones sold. Pull the pin, unit swivels apart for fire extinguisher removal. 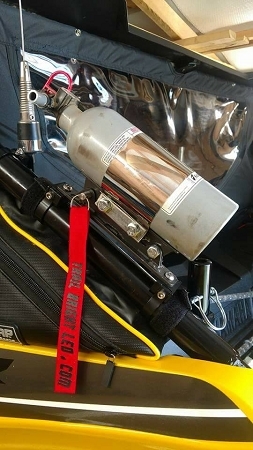 Although the mount was designed for an extinguisher it can be used for many other applications where you need a solid mount with the ability for a quick release. Polaris XP1000 and Xp1000 4 seater 1.75"
Cage Honda Big Red 1.625"
Arctic Cat Wildcat Trail 1.75"